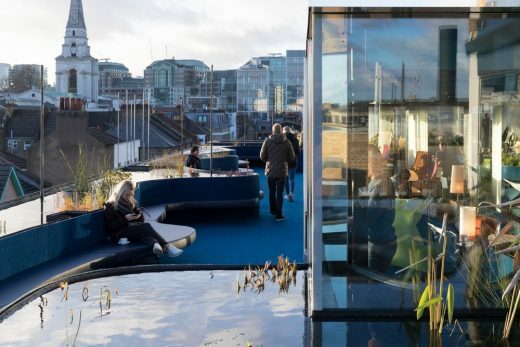 15 December 2017 – The new rooftop space, surrounded by pools filled with aquatic plants on every side and featuring over 800 tropical trees and plants, extends the work of Selgascano on the original Spitalfields building, which opened in November 2014. SelgasCano are also architects of Second Home’s East London bookshop Libreria opened in 2016, Second Home funded Kibera Hamlets School, Nairobi (2016), Second Home in Lisbon (2017) and most recently Second Home Holland Park (opening January 2018). 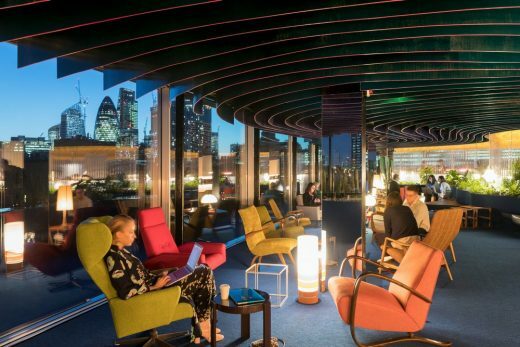 This new rooftop space has five private studios for large teams of up to 150 people (each with their own pool-filled outdoor terraces), as well as a rooftop bar, cultural venue and a public rooftop terrace with stunning views of East London. 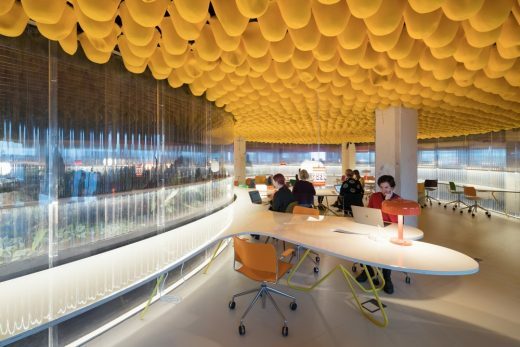 The ceiling of the large studios is covered with over 10,000 colourful felt hats, which increase the surface area and provide noise insulation to ensure a tranquil working environment. 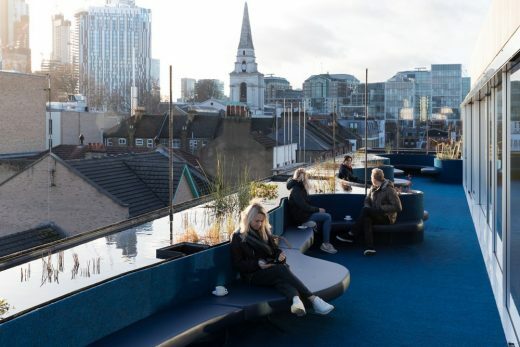 With the addition of this new rooftop space, Second Home’s Spitalfields location has grown to 65,000 sq ft – housing over 200 creative companies and organisations, including Kickstarter, Help Refugees, Artsy and Bulb. 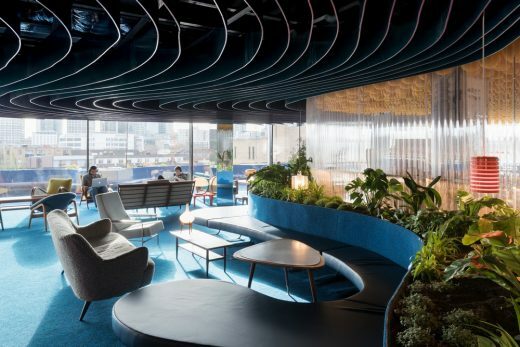 Since Second Home opened its doors in November 2014, companies based there have created jobs at a rate 10 times faster than the national average – and every one of the five large new rooftop studios has been taken by teams that have grown in the rest of the building. 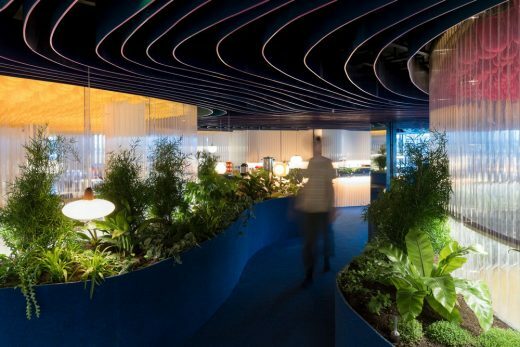 SelgasCano is a Madrid-based architectural practice founded by José Selgas and Lucia Cano that harnesses academic research to create sustainable environments that also support wellbeing and productivity. 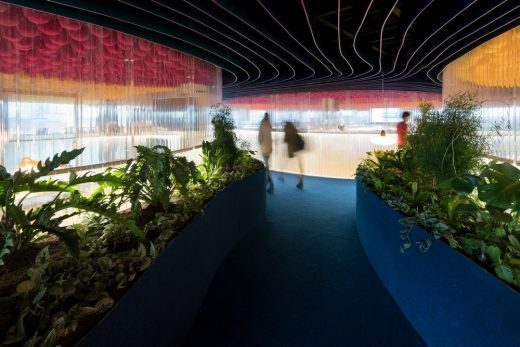 SelgasCano were previously Architects-in-Residence at MIT, and their work has been exhibited at MoMA and the Guggenheim in New York, the Venice Biennale, the Design Museum in London and the Akademie der Kunste in Berlin. After designing Second Home Spitalfields, SelgasCano were selected to design the Serpentine Gallery’s Summer Pavilion in London’s Hyde Park in 2015. 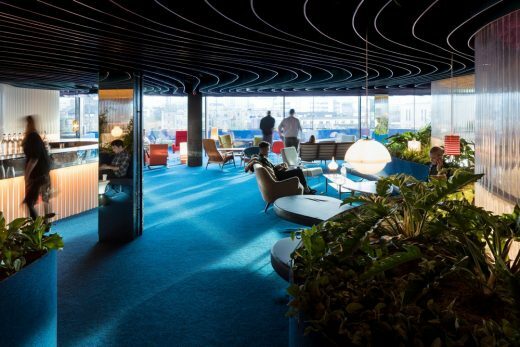 Previous architects chosen include Zaha Hadid, Frank Gehry, Rem Koolhaas and Herzog & de Meuron. Second Home is a social enterprise with a mission is to support creativity and entrepreneurship in cities around the world. 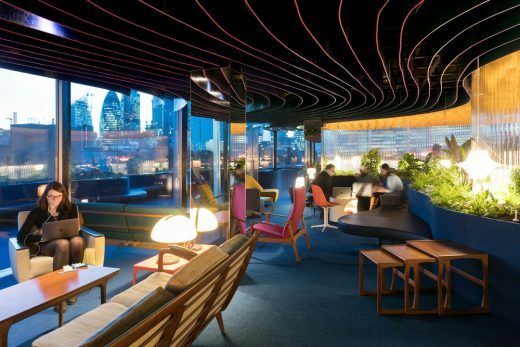 Second Home’s first location in Spitalfields, East London opened in 2014 – and was followed by Libreria bookshop (designed by SelgasCano), a new school building in Nairobi, and a plant-filled workspace and cultural venue in Lisbon’s oldest fruit and vegetable market in 2016. The community at Second Home is carefully curated to ensure the broadest possible range of industries and types of organisations – including: fast-growing British creative businesses such as Visualise (virtual reality filmmakers), Threads Styling (online fashion) and Bulb (green energy); Charities and social-impact organisations like Help Refugees, the Institute of Imagination and the Syria Campaign; Technology companies such as Artsy, Kickstarter and Trint; Global corporations including Mercedes-Benz, Cushman & Wakefield, Ernst & Young, TaylorWessing, KPMG, Volkswagen, Ermenegildo Zegna. 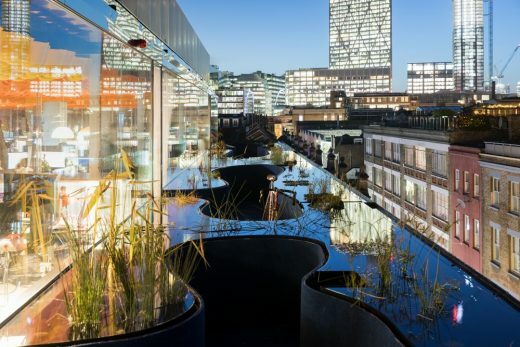 Second Home is founded by Rohan Silva and Sam Aldenton. 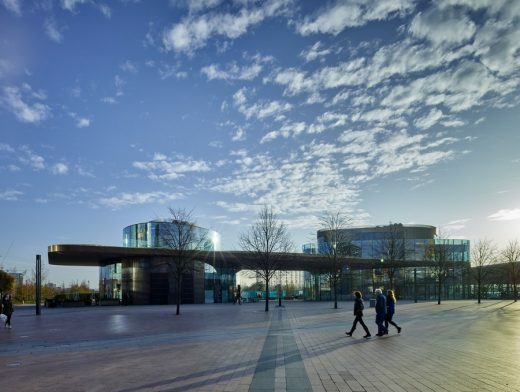 Rohan Silva was formerly Senior Policy Advisor to the British Prime Minister and architect of the Government’s Tech City initiative as well as key national policies to support entrepreneurship and innovation. 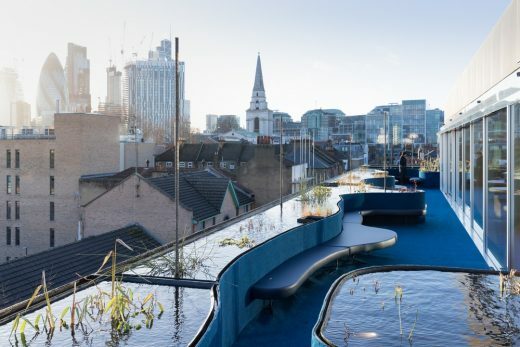 Sam Aldenton was the founder of some of London’s most creative businesses including Dalston Roof Park, Long Table and Feast.